Personally I don't prefer to use Vimeo to bring you videos, I think the embeds break the formatting of my editorials, but I couldn't kick off the start of an article that recognizes "Supreme Clientele" with YouTube's offerings. The only video they have is "Cherchez LaGhost" and as much as I enjoy the song, it's not the one that embodies Ghost's album to me. We banned for life, Apollo Kids live to spit the real..."
1.) 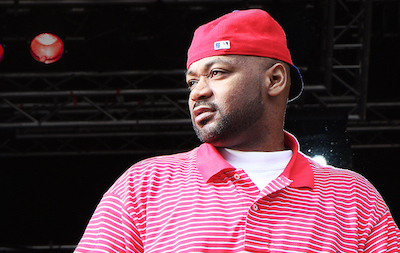 Ghostface Killah - "Apollo Kids"
Ghostface Killah - Apollo Kids (feat. Raekwon) from Tarik Azzougarh on Vimeo. 3.) Jurassic 5 - "Quality Control"
4.) Reflection Eternal - "Move Somethin'"
5.) M.O.P. - "Ante Up"
6.) Common - "The Light"
7.) Field Mob - "Project Dreamz"
8.) OutKast - "Ms. Jackson"
9.) Ludacris - "Southern Hospitality"
10.) Xzibit - "Front 2 Back"